Greenway Systems Thin Bricks is a lightweight brick solution to your renovation needs. Our focus is purely on lightweight wall alternatives where you want to achieve a “real brick” look without the loss of room or exterior space and does not involve intensive labour, such as the need for footings or structural wall changes. Our recycled “look” faux thin bricks are made of a composite of clay and white cement. If you are looking for a recycled brick look to your wall, or want the impression of recycled bricks, this product is ideal. The bricks are of varying thicknesses from 10mm to 12mm, shapes and colours. 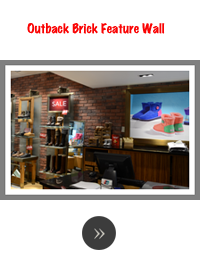 They are ideal for a brick feature wall in a café, restaurant, shop, office or home. The faux recycled-look thin bricks can help you create a wall that can express the individuality of your premises, whether in an old-fashioned or contemporary setting. Our expanding range of colours gives the home or business owner an almost limitless array of possible colour combinations. 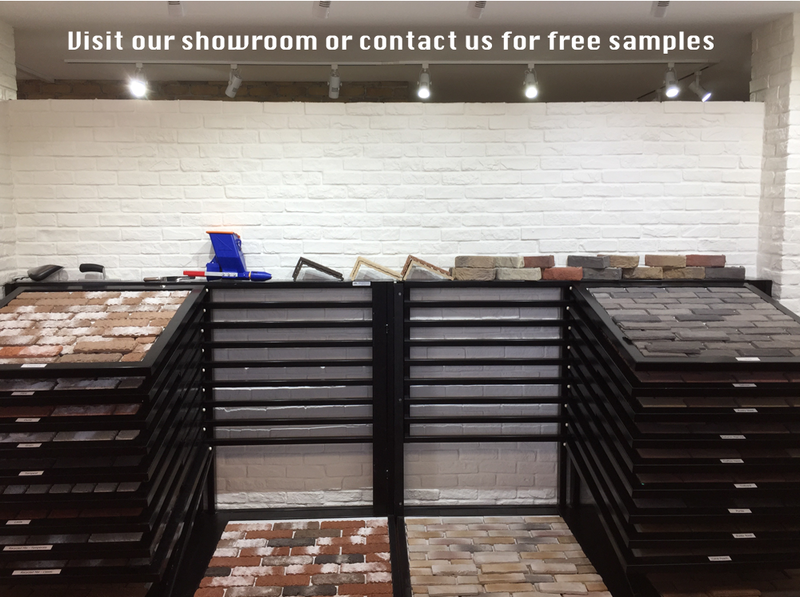 Our natural brick tiles are truly unique. Cut from 100% kiln-fired clay brick, these 9mm thin brick tiles rely on the natural pigments of the clay for its colour, giving the tiles a vast array of patterns and hues. 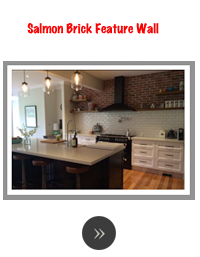 The brick tiles carry the rough texture of the original brick throughout the layers and will give your project that much sought after look of genuine brick. Greenway conventional clay thin bricks offer an easy alternative to a traditional brick wall look. Our thin bricks are made of 100% kiln-fired clay, which are lighter than conventional brick, and are ideal for internal or external applications – from external brick veneer for a home to an internal brick feature wall for home, office or commercial premises. 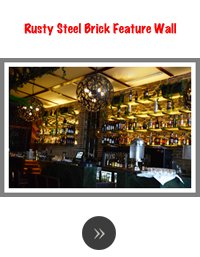 We offer two types of brick cladding systems. 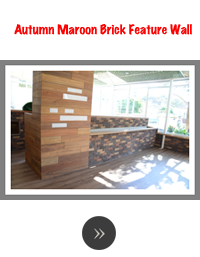 Our thin brick panels consist of conventional thin bricks mounted on fibre cement board. This product is designed for large areas where installation of the individual bricks is time consuming, or for the weekend DIYer who wants a quick and easy way to install a brick veneer wall. Our second option, a brick tracking system, uses a galvanised steel rail top and bottom to hold grooved thin bricks in place without the need of adhesive. The tracking system is ideal for walls which have warped over time, where more conventional brick solutions would prove difficult. Whether your job is big or small, inside or outside, home office or commercial, our thin bricks are suitable for all situations.